Home » Bollywood News » Decoding Baahubali: Over Rs 300 crore profit expected from this SS Rajamouli Franchise! At the trailer launch of Baahubali 2, producers of Baahubali Franchise revealed that they are yet to make any sort of profit from SS Rajamouli’s magnum opus starring Prabhas, Rana Daggubati, Anushka Shetty and Tamannaah Bhatia in lead. The comment from the producer came as a shock to many, given the fact that Baahubali: The Beginning did some unbelievable business at the box-office. 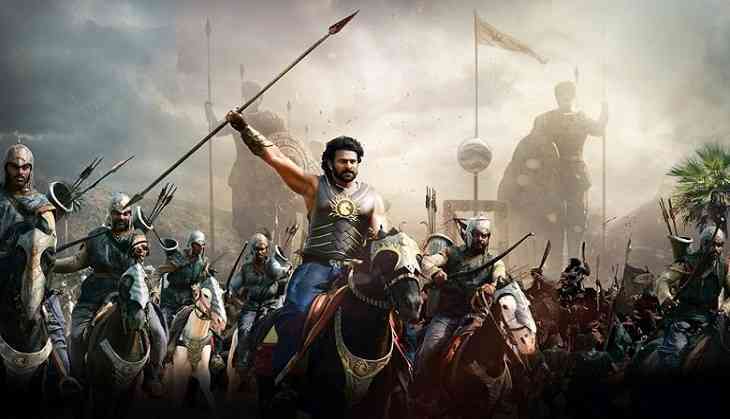 The director decided to split the world of Baahubali into two films which resulted in a humongous budget of Rs 450 crore and recovering the same from just one film was a far stretched expectation. Since the first part has done record breaking business at the box-office, producers have already recovered a huge chunk of their investment and major revenue from the second instalment will be nothing but profit for everyone concerned. While the details about sale of distribution rights of both parts aren’t out in the media yet, the total revenue from the first instalment from theatrical as well as other avenues is close to Rs 350 crore. With such high revenue from part one, the producers are just Rs 100 crore away from the recovery point and the same would happen merely from the non-theatrical source of income i.e. satellite and music rights. Given the hype and buzz around the second instalment, it is quite certain that it would fare better than Baahuabali: The Beginning at the box-office and the same would easily result in a profit of over Rs 300 crore for the producers. When makers at first revealed that Baahubali will be the costliest film to be made in history of Indian cinema, a lot wrote it off saying that recovery would be impossible. But given the way things stand as of today, the producers might be set to laugh their way to the bank.